The war on drugs has failed. Mexican Cartels have corrupted everything and nobody is out of reach, especially along the border. 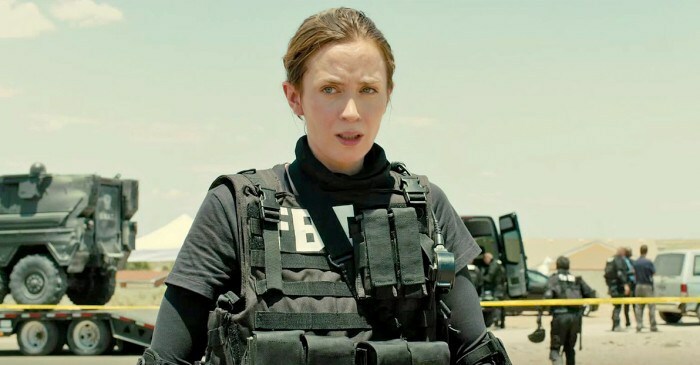 Kate (Emily Blunt) would soon discover her job as an FBI agent has minimal impact, especially when her team raids a house near Phoenix and she is cast deeper into the drug war. Through a liaison with the ever upbeat Matt (Josh Brolin) an ‘advisor’ with the Department of Justice, she soon discovers the more at stake, the greater the deception. . ‘Matt’ gives her information on a need to know basis, he has his own objectives and ‘Kate’ is unwittingly along for the ride. What a ride it is though. This movie moves at breakneck speed, there is no time to breathe, the action shifts from one side of the border to the other. Drug tunnels, illegal immigrants, corrupt cops; covert ops and cartel assassins are aplenty. Sweeping aerial shots show vast areas of desert and lawless Mexican towns, supplemented by a haunting soundtrack, courtesy of Johann Johannsson (The Theory of Everything). It all adds to the feeling that no one is safe and death is near, no matter what side of the border you’re on. 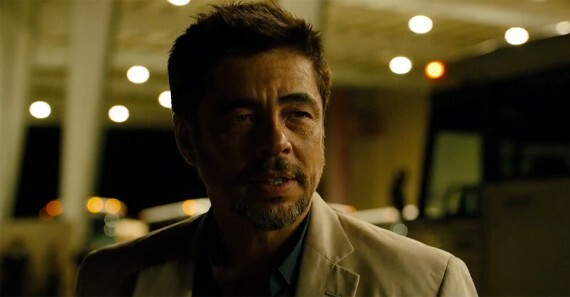 Then, of course there is Benicio Del Toro, in the role of ‘Alejandro’, a Columbian man with a shady past and his own agenda. He doesn’t say much; then again he doesn’t need to. What a performance. ‘Alejandro’ is another ‘advisor’ who rides in the same private jets and black SUV’s that his ‘partner’ ‘Matt’ does. They operate above anything the FBI is involved in, looking to skirt Political oversight, whilst doing the ‘greater good’ for America. 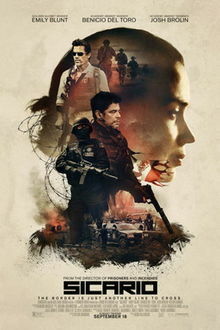 Director Denis Villeneuve (Incendies) has done a fine job keeping the pace swift and the tension high, artfully revealing a superbly written script by Taylor Sheridan, a TV actor from ‘Sons of Anarchy’. If you love a good thriller, then don’t miss ‘Sicario’.